The colorful leaves of Spring are seen everywhere but Winter is just around the corner. The quickest way to dress up your entryway for the holiday season is to update the doormat. 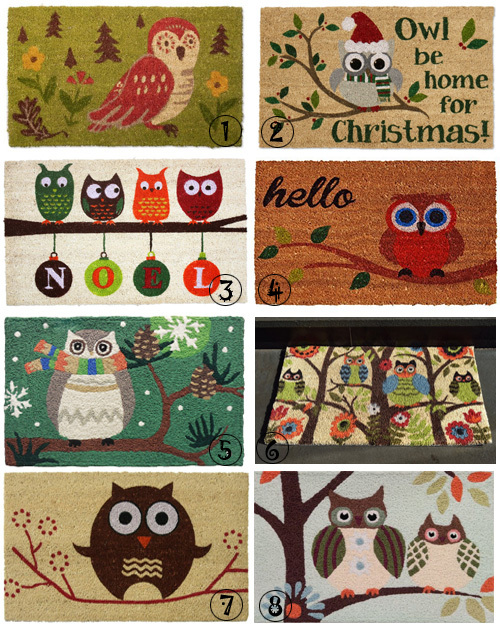 Get rid of the old, muddy doormat and welcome your guests inside with one of these fresh and fun owl doormats. Check out the ones I found in cheerful designs and festive colors. Wonderful doormats - just ordered two! I'm gonna need a bigger house! Haha :D The doormats are lovely!